or call 267-403-4391. In-home service by special appointment. Swedish massage, Deep Tissue, Hot Stones, Reiki, Aromatherapy, and Prenatal -- all for the same cost. Friends or family -- buy a gift certificate for a single massage or a series for a caregiver you know. Neighbors or faith communities -- pool resources to support someone you know who needs respite and renewal. A precarious sense of self. ​​​For caregivers, choosing to care for yourself may not come easy. But, massage can be an important tool to bring your life back in balance. It can soften the hardened places in the body and soul. When you give yourself that time, you will recover a sense of spaciousness in your life that may have seemed lost. By merely coming to be cared for, you make a choice for your wellness. Once on the massage table, all you have to do is breath, receive, and let go. After an hour of nurturing, and good care, you will come to a quieter place, from which you can skillfully and more mindfully do what needs to be done. Staying well in the face of challenge is a choice that is made from moment to moment. A therapeutic massage can help you remain aware of and act from that place of choice. Each session is personalized and may include a combination of Swedish, Deep Tissue, Hot Stones, Aromatherapy, and Reiki. 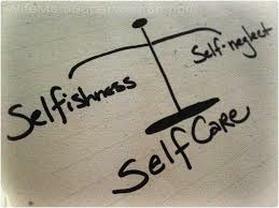 Most people who care for others often don't take care of themselves. Steven's goal is to help clients find a place of quiet and self-compassion, and relief from body aches and the stress of giving. Licensed as a massage therapist in 2014, Steven brings to the table many years of mental health experience, where he counseled clients in self-care. A graduate of the Academy of Massage Therapy and Bodyworks, Steven is also Reiki Master Teacher. He has lived in Germany and Costa Rica, and has a Masters in International and Intercultural Management from the School for International Training.